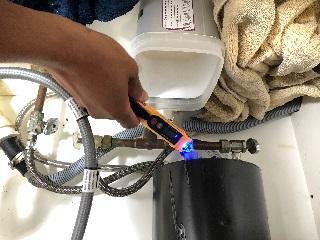 If you have a leaking or broken garbage disposal don’t panic. 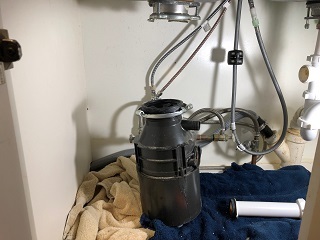 You can relatively quickly replace out the disposal with a similar model without having to remove and replace your sink and drain assemblies. I had the good fortune to wake up a few days ago to a leaking disposal. A quick run to my local Home Depot and about 40 min and I had a new disposal installed and running. 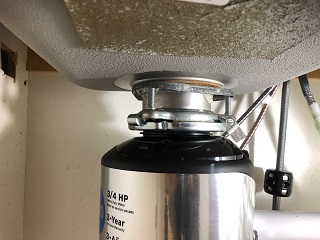 I wasn’t lucky enough to catch the leak in my disposal early enough and suffered some swelling moisture damage to the cabinet. I used towels and a fan to dry the area and confirmed from the basement below that all the water was taken care of. NOTE: Your drain assembly will likely look different than mine. If you’re unsure of anything be sure to contact a plumber and as always refer to any directions included with your disposal. Before starting this or any project with electricity running to it, you will need to cut the power. Some garbage disposals are plugged in to an outlet under the sink. My disposal is hardwired, so the first thing I did was go to the breaker box and cut the power to the disposal. 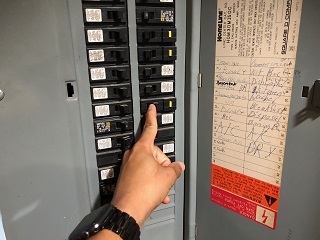 As a double check I flipped the switch and used a no contact tester to confirm the power was cut. 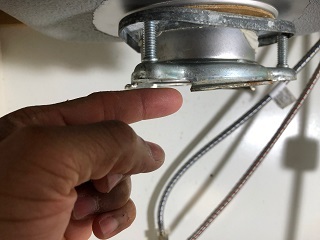 The next step (If you have a double bowl sink) is to disconnect the disposal from the drain assembly. 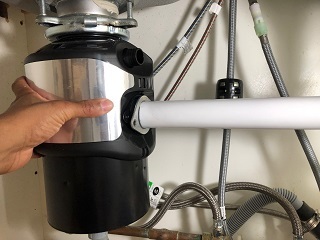 The pipe for the disposal is connected on one side with a metal ring and two screws and the other with a compression nut. 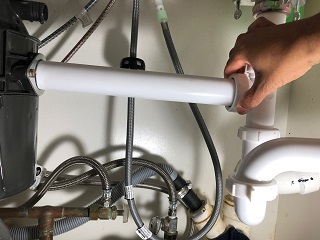 Disconnect both and remove the pipe. You may have to twist your drain assembly slightly to remove the pipe. 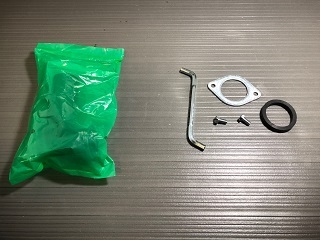 The new disposal will include a small bag with a few items like a disposal wrench and disposal elbow (used for single bowl sinks) and a new flange collar and washer. 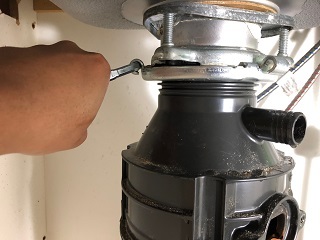 Use the wrench in the disposal collar to turn the disposal counter clockwise. 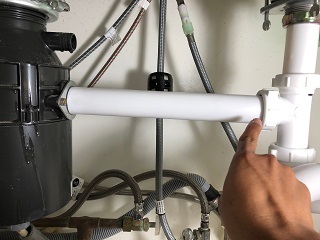 Make sure to support the disposal collar for the first few turns while loosening the disposal. 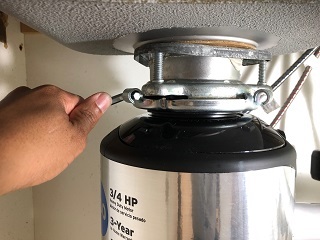 Before completely freeing the disposal support the underside or the disposal will free fall. 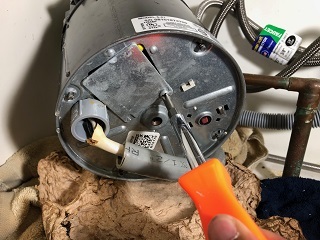 For a hardwired disposal like this one you will need to remove the wiring running to it. 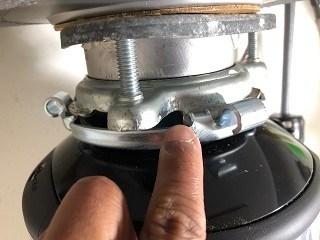 On the underside there is a small access door secured by a screw. Remove the screw and disconnect the wire nuts found inside and pull the wire free. As you can see the ports on the two disposals are located in essentially the same location. This is a benefit to using a product from the same manufacturer as the old disposal. 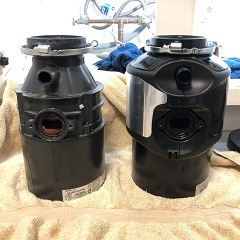 Make sure that when purchasing your replacement disposal you check its dimensions for compatibility. I stepped up from a 1/2hp to a 3/4hp with no problems. 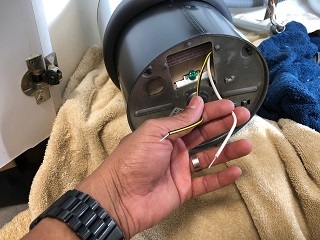 You will need to turn the new disposal upside down and remove the wire plate. 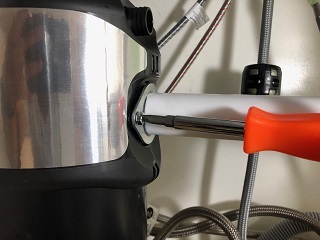 Install a cable clamp and run the wire into the disposal. 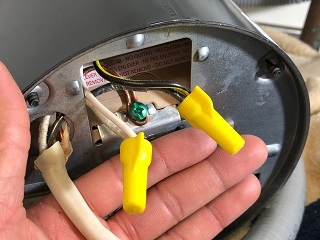 Use wire nuts to join the cables with the matching color of the disposal and connect the ground. Replace the wiring cover. Next lift the disposal onto the disposal clamp making sure the disposal collar clips fully make it onto the rail. 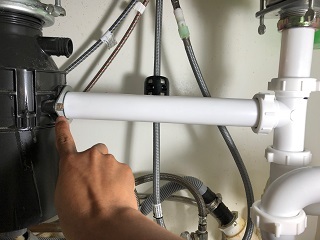 Twist the disposal by hand lining up the drain pipe connections. 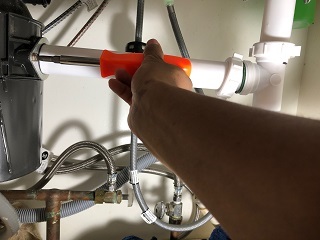 Lightly connect the drain the pipe, and then use the wrench and turn the drain collar clockwise using the disposal wrench. Tighten the drain connections making any minor adjustments as needed. 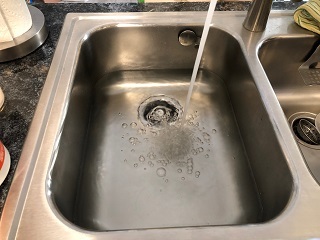 To test the disposal and connections leaks, stop up and fill the sink with water. 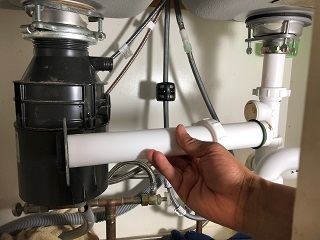 Check back periodically under the sink for any leaks on the disposal and at the sink connection. That’s about all to it. Again everyone’s setup under their sink will look somewhat different. Make sure to adjust these steps as needed for your specific install. I hope this helps.